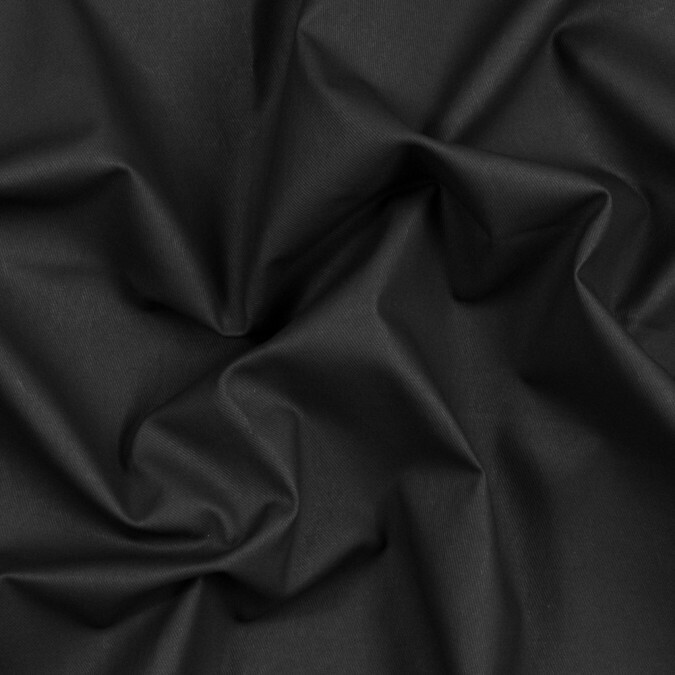 Description Classically edgy this Black Waxed Cotton Twill creates an effortless downtown chic aesthetic. A wax finish gives the twill a matte look and a smooth hand. From moto-inspired jackets to cigarette pants create sleek looks from its stiff drape. Thin and of a medium weight it is the perfect transitional piece for any collection. Opaque a lining is optional.